The Ministry of Education renews MOU with General Sir John Kotelawala Defence University (KDU), Sri Lanka on 31st March 2017 for the admission of Bhutanese students to study medicine. 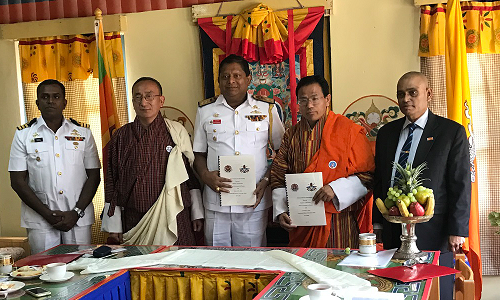 Annually KDU will admit between 5 to 15 Bhutanese students for MBBS and 5 to 10 students for other paramedical and engineering programmes at KDU. 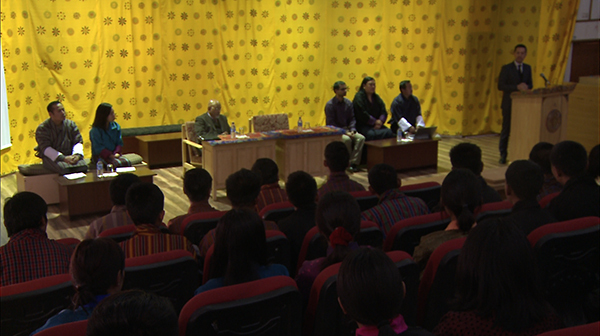 Welcoming the delegates to Bhutan, Lyonpo Norbu Wangchuk expressed his appreciation and gratitude to KDU for the opportunity given to Bhutanese students to pursue medicine which is of critical need to Bhutan. The students excelled in their class XII examinations and will be pursuing professional degree courses in the United Kingdom, the USA, Canada, India, Sri Lanka, Bangladesh, Malaysia, and Thailand. His Majesty the King congratulated the students for their achievements, and advised them to continue to work hard and become capable individuals, who can contribute positively to their families, communities, and the nation. Department of Adult and Higher Education also organized a two day orientation program to prepare for their studies abroad. With the launch of the “New Bhutanese Fulbright Student Scholarship Programme” the US government will be offering two graduate scholarships annually starting next year. So far the scholarship has been provided only to undergraduates every alternate year. The new award was launched in the capital, yesterday. A science student of St. Joseph’s school in Darjeeling, Thinley Dorji Wangchuk is the last recipient of the undergraduate scholarship in the United States this year.